64GB iPhone 4 leaked ? Home » devices » iphone » rumors » 64GB iPhone 4 leaked ? 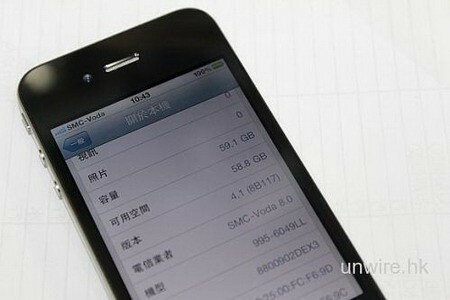 64GB iPhone 4 prototype has been spotted in China. As you probably already know, the iPhone 4 officially ships in just 2 versions: 16 GB and 32 GB. No word on the 64GB variant, but someone in Hong Kong reportedly managed to grab a few 64 GB iPhone 4 units straight out of Apple's manufacturing partner, Foxconn factory in Shenzhen. According to MacRumors, the device owner seems to think Apple may introduce a 64GB model for the next iPhone 5. Title : 64GB iPhone 4 leaked ? 0 comments on "64GB iPhone 4 leaked ?"